Is doing a TED talk on your bucket list? Are you working on a project related to sustainable food and farming? TEDxManhattan is looking for individuals who are having a high impact in their communities by engaging a variety of stakeholders to participate in their TEDxManhattan Challenge. 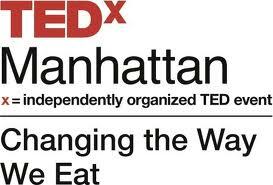 The winner will speak live at their event “Changing the Way We Eat” in March 2014. The 2013 winner was Cheryl Kollin of Farm to Freezer, who has roots in the Pacific Northwest as a Bainbridge Graduate Institute alum. Watch Cheryl’s video to get inspired to apply! The deadline is October 1st.